These guns are long gone...or are they? Half the fun of going to estate sales is the nostalgia trip. 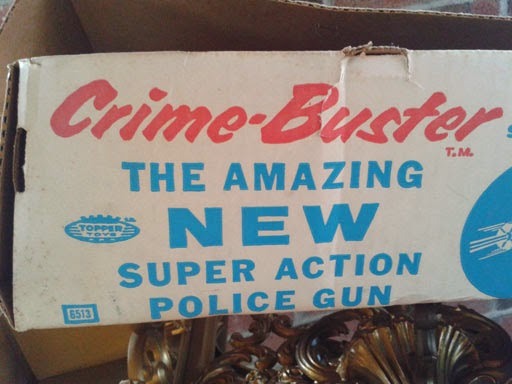 I often see items from my childhood that I thought I would never see again. Every now and then I am pleasantly surprised. 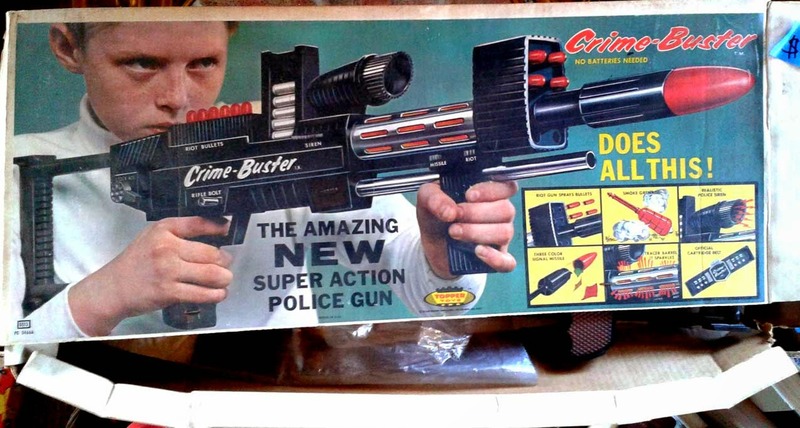 I would never have been allowed to buy this, like most parents mine hated guns. I would have sided on the camp of seeing these as the tools of imaginative play. For many a battle I was happy with a stick as my army gun. 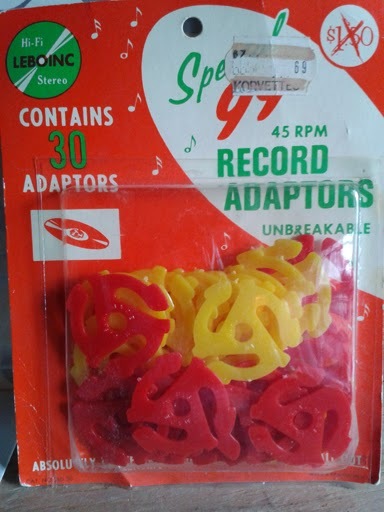 An older kid on my street had one of these and oooh! how I lusted after it. Look at all it does! I was really hoping to find the original commercial that went with this gem from 1965. Instead, I found something similar from Mattel Toys. Take a look. 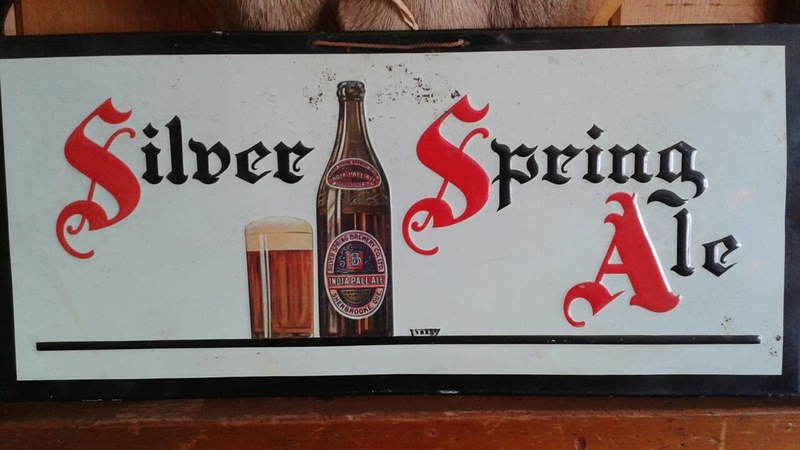 When I am digging through the cast-offs from the past I will usually come across a product that was once (somewhat) familiar to me, but is now gone forever. Can you guess? 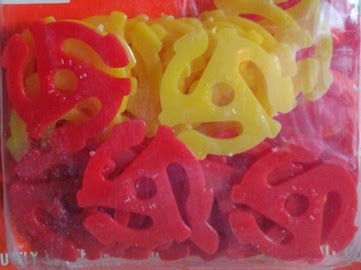 If there were a toy gun that shot these across a room, now that would be fun. 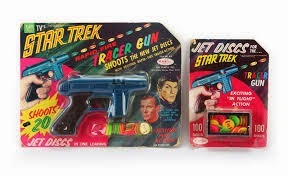 Speaking of Awesome toy guns. 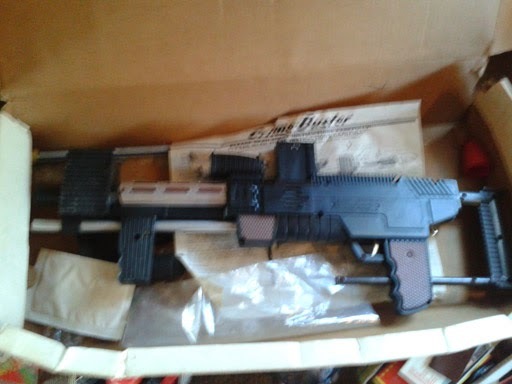 Stop by tomorrow for the most supreme awesome toy gun ever! Found Photo: Gold is where they found it! 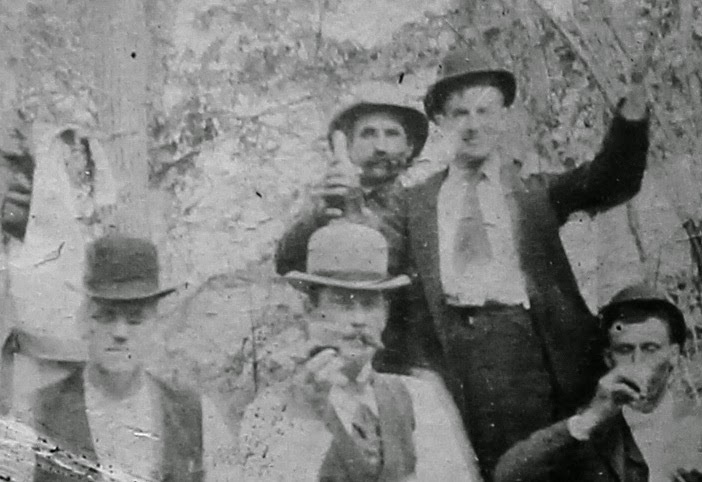 Other than “gold” my favorite category items to find are old photographs. 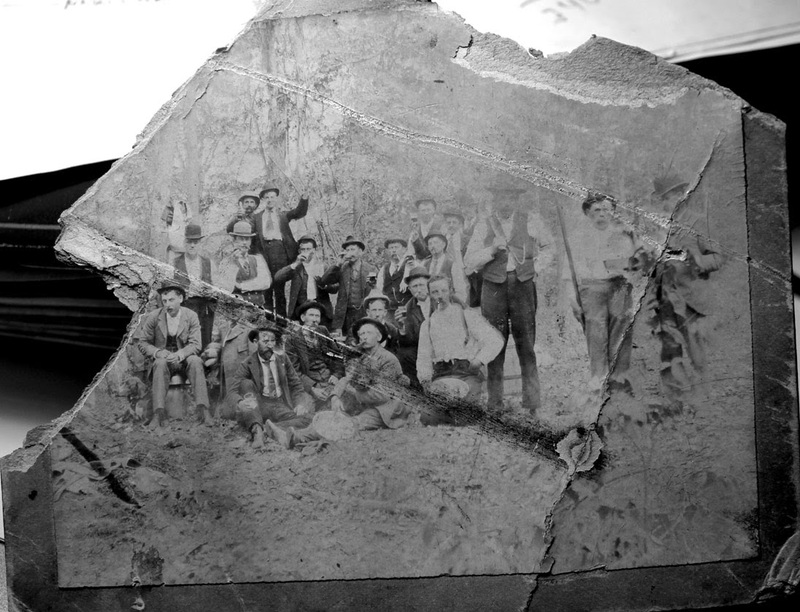 Visual records of the past can be worth a thousand word, or more. 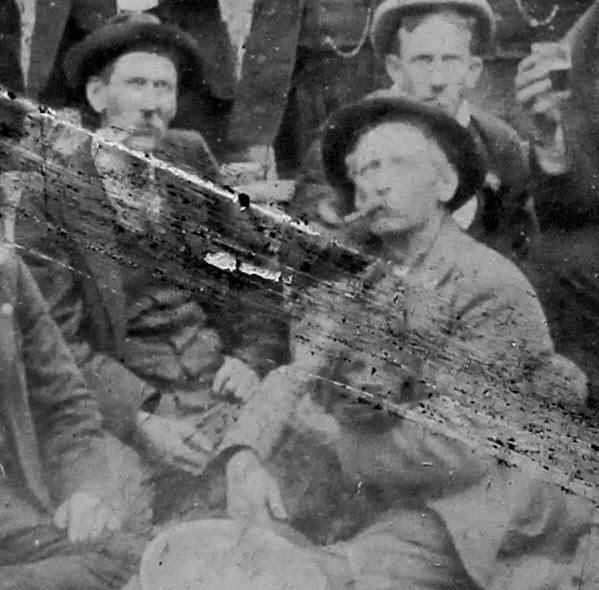 I have have seen enough old photographs to be an expert in detecting their origin and purpose - I like to call it photo-forensics. However, I still have a lot to learn about the taking and processing of my own photographs, not to mention the photography skills of others. The image above was in a box under a desk in the basement of cool antique store in Oakville Connecticut. 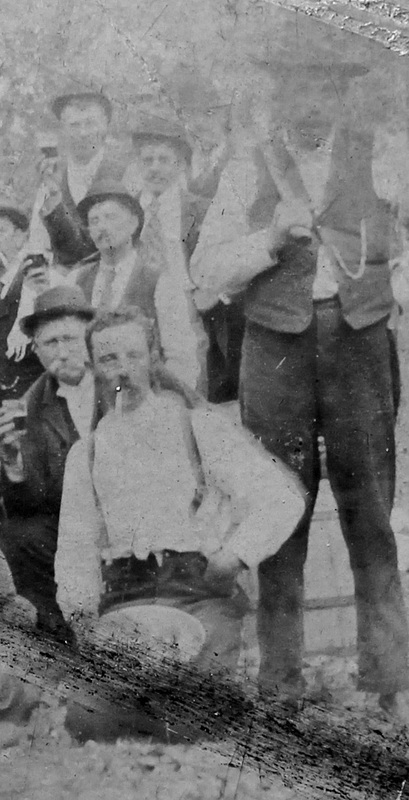 If you scanned the full image you know right away that these guys are celebrating...something. Then I noticed several round objects at their feet, or in the shot just below- being used as a seat. I am going to guess that they are pans used in Panning for gold. They seem to hold a somewhat prominent place in the photo. I also noticed dogs - I counted three so far. What do you think? 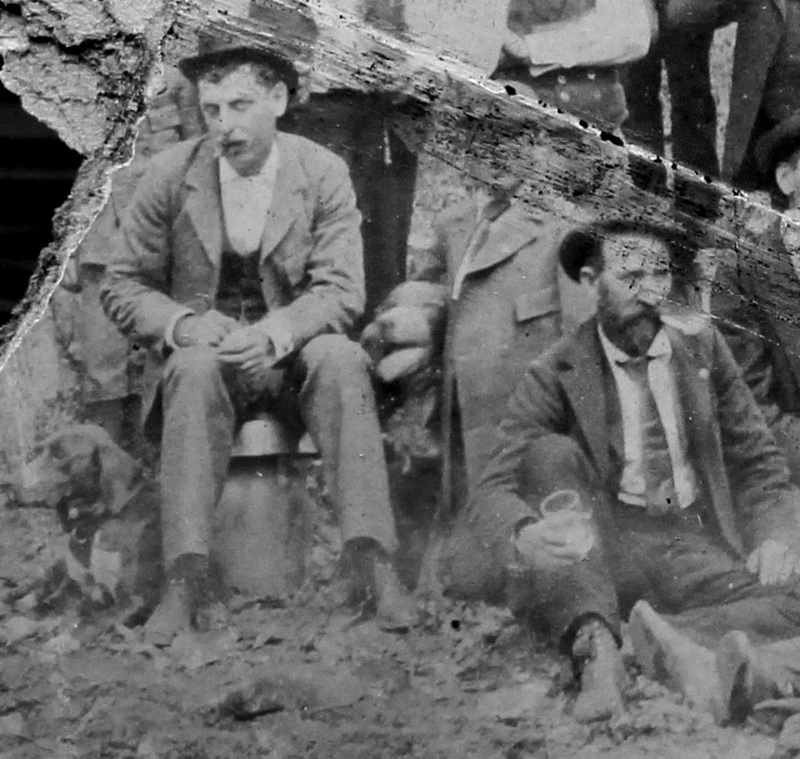 Are they prospectors celebrating the claim they have staked and as partners plan to be rich beyond the dreams of Avarice? If you have a better guess - send me a note or leave it in the comments. 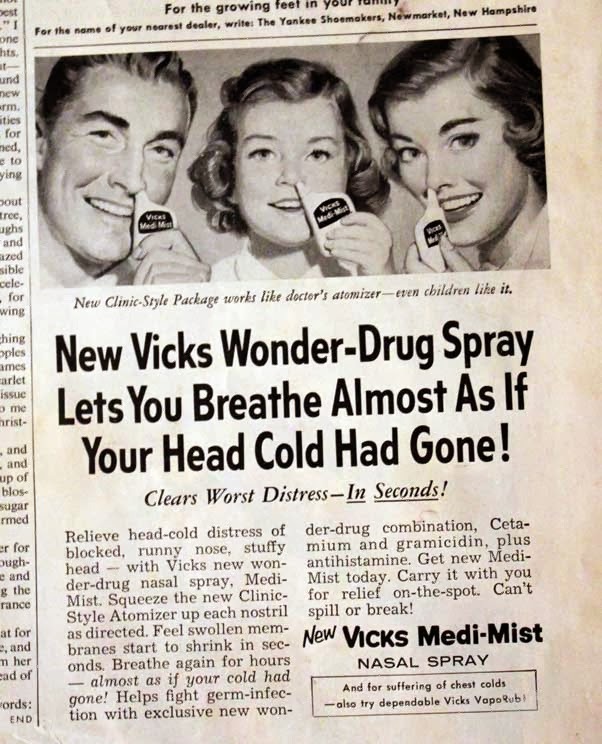 Odd ads 1947: To much truth in advertising? I love words and when I see one that is rarely used, especially to name a product, I want to jump on it. Except with this one, I would slide right off. Not the best way to sell a product, with a name that's is difficult to pronounce. Unguent comes from the Latin - "Unguen" - to anoint, and there is the root. So, if this were really a truth in advertising would we change the product name to "Anoint-ment?" I'd need a pretty painful itch to use it. Two Lady Singers, Too Late For Me. My mind works in mysterious ways - that it works at all, is the biggest mystery. 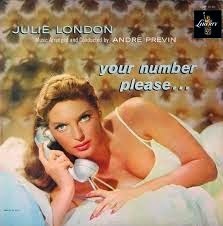 Before Friday, I never knew who Fran Warren was, and I never knew how good Julie London sounded. How did I come across these 2 singers from the 40's thru the 60's? If you've come here from my Patch article you already know that I was at Fran Warren's estate sale and learned about her from her daughter and also from a friend of the family. 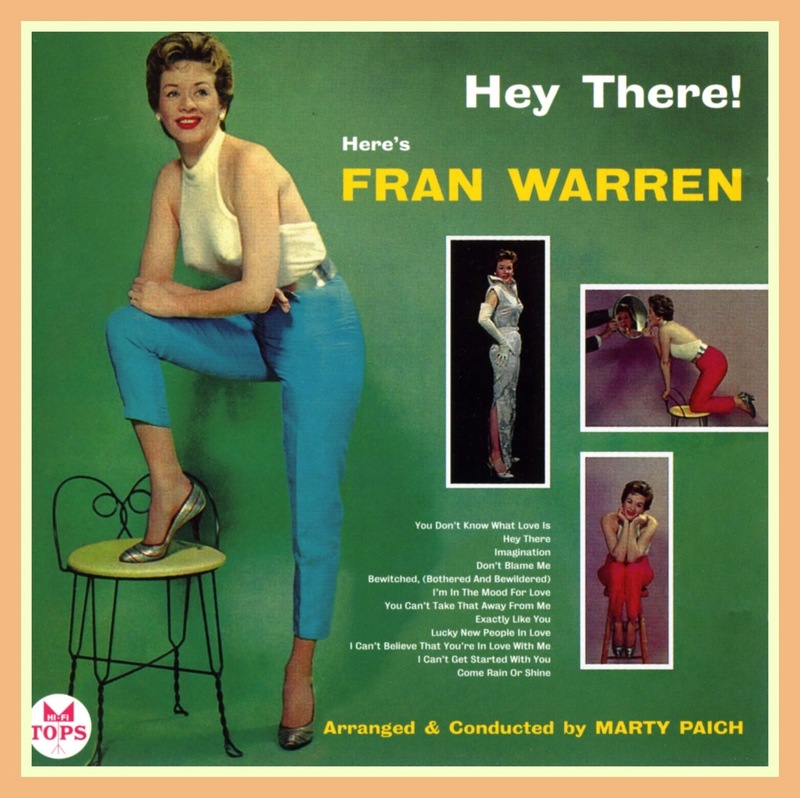 Though both ladies were born in the same year (1926), Fran Warren was a more traditional big band singer who first tried out for Duke Ellington's band at 16. Though she didn't get the job, she was soon employed by other band leaders such as Billy Eckstine, Charlie Barnet, and Claude Thornhill. You can read her full Wiki entry here. Julie seemed to enjoy more media exposure than Fran. I grew up only knowing Julie from the TV series "Emergency!" Not a bad show, but not the part of her career she would want to be known for, maybe. 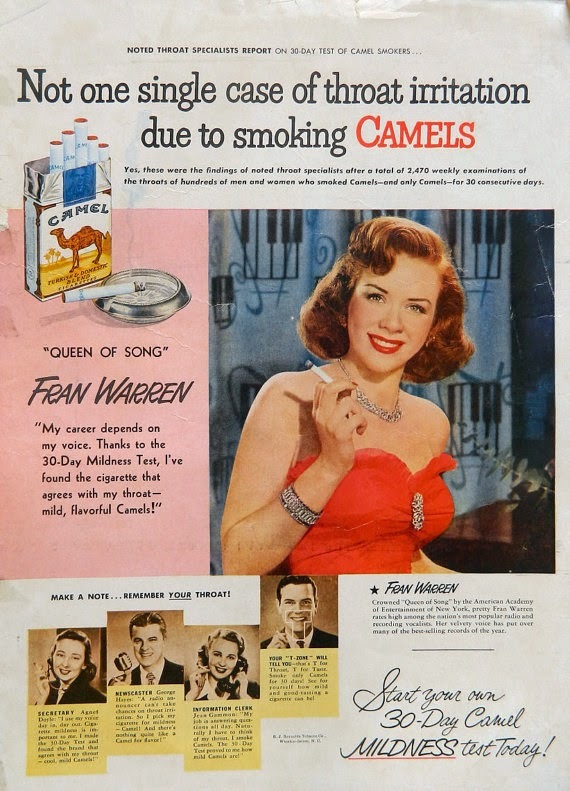 Fran made her appearances on TV as well and was friends with Jack Parr and Johnny Carson, Sinatra, and numerous others. I just wish I could find clips. I am a new fan and my hat's off to both of them, though sorry that I arrived to the show too late as they have both passed. 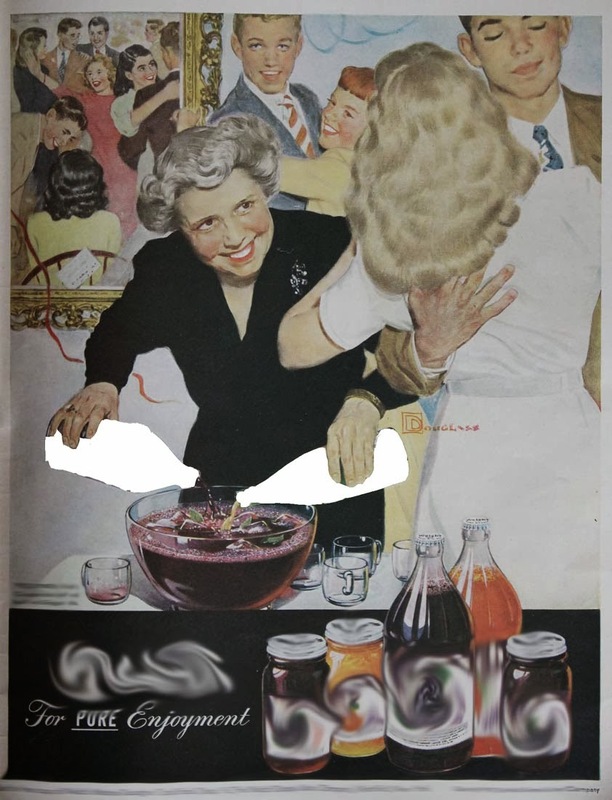 This illustrated ad from 1947 struck me in many ways. Look at the action and tell me what's going on. Is the mature woman look a little crazed to you. Does she seem responsible? 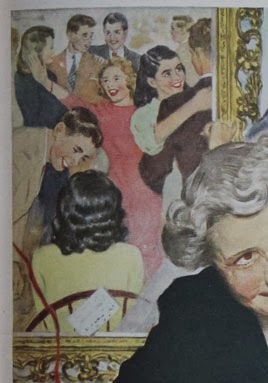 Or, is she only hosting a party for 2 couples and the others are trapped in an odd portrait hanging on the wall? I don't know, but first you need to tell me what the product is, then we'll take a closer look. "Drink children, and you be my next wall hanging, he! he! he!" 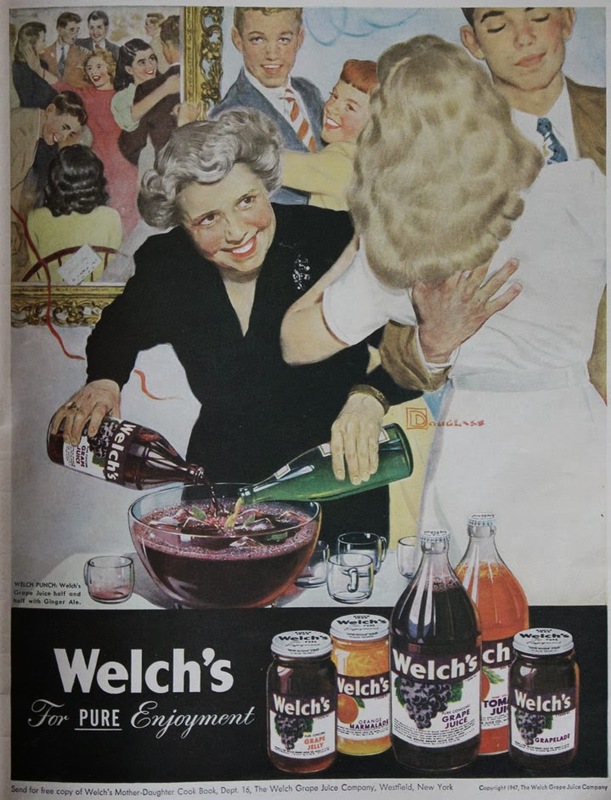 This is a Welch's Juice ad from Life magazine. The theme confused me on 2 levels - first, I couldn't determine the age of the adult host. She looks too mature to be "Mom," but too young to be "Grandma." The other creepy detail is the frame on the wall. Mirror or painting? Since it seems to be almost inline with the viewers perspective...where are we in the image, where is the slice of party-goers in the foreground? I am taking a small liberty because the image is 2D (flat) and the mirror could be skewed to the viewer's left (or is that right?). 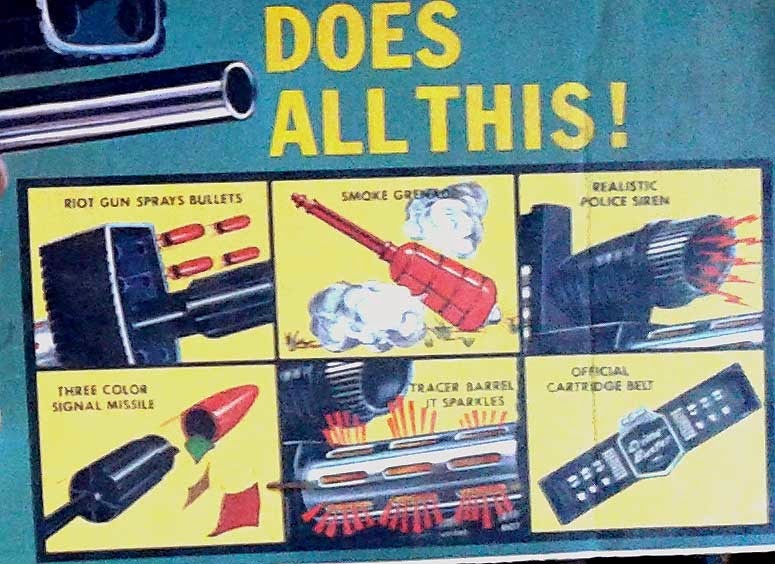 Awesome visual, though "awesome" is the most over used word, still awesome ad from the 1950's. I always like it when I can find a piece of old paper that coincides with something occurring now. This was the case with a book I uncovered in a basement at an estate sale. 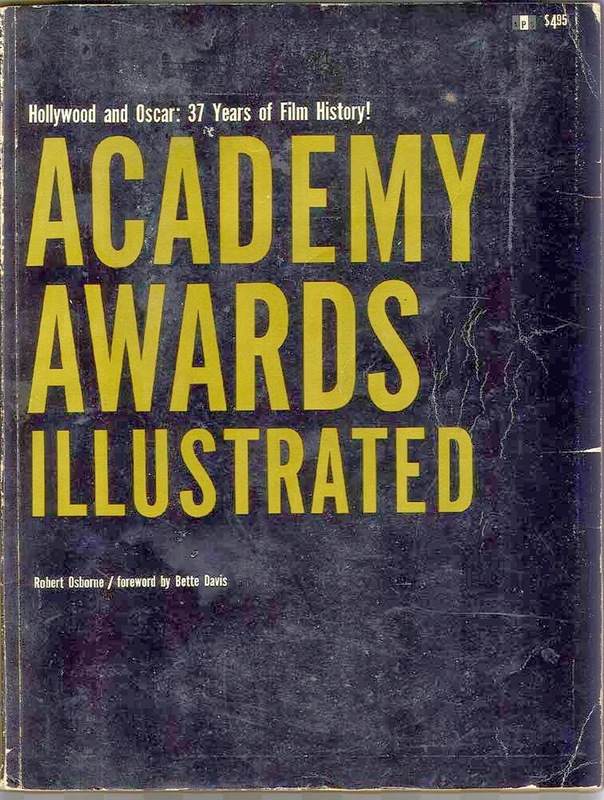 Written by Robert Osborne (often seen introducing films on Turner Classic Movies) in 1965, this book gives a retrospective of the winners from the beginning through the publish date. Not a rarity, but it was the slip of paper inside that caused me to buy the book. 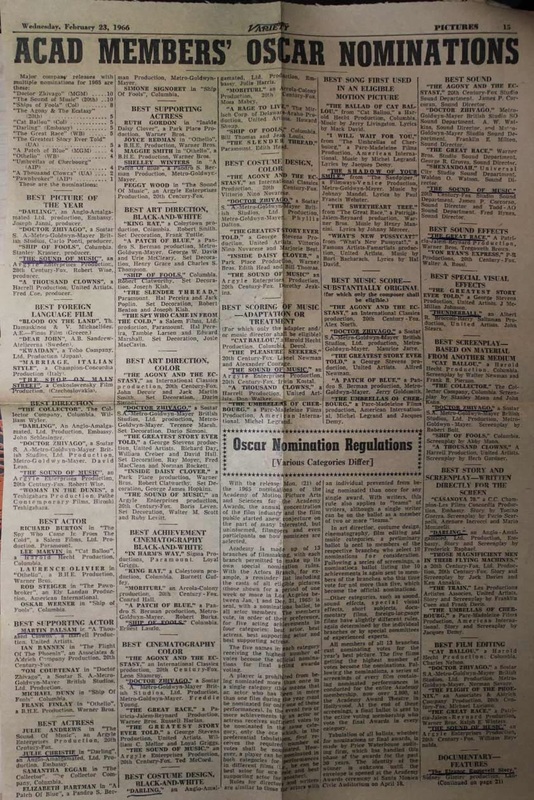 48 years ago someone bought variety and underlined the winners for that year, this is a game my wife and I play, but we underline our guesses separately prior to the show and the see who "won." Here's a closer look at the nominees. 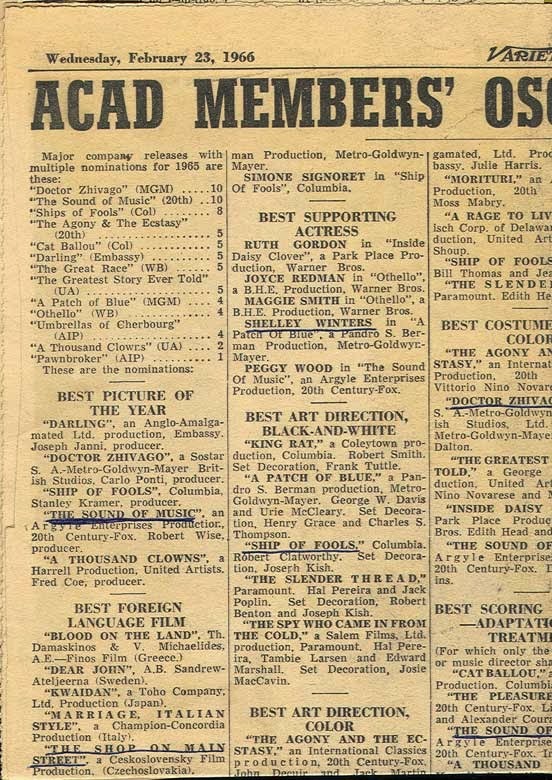 The big movies that year were "The Sound of Music" and "Dr Zhivago" always interesting to see who was and who wasn't nominated. 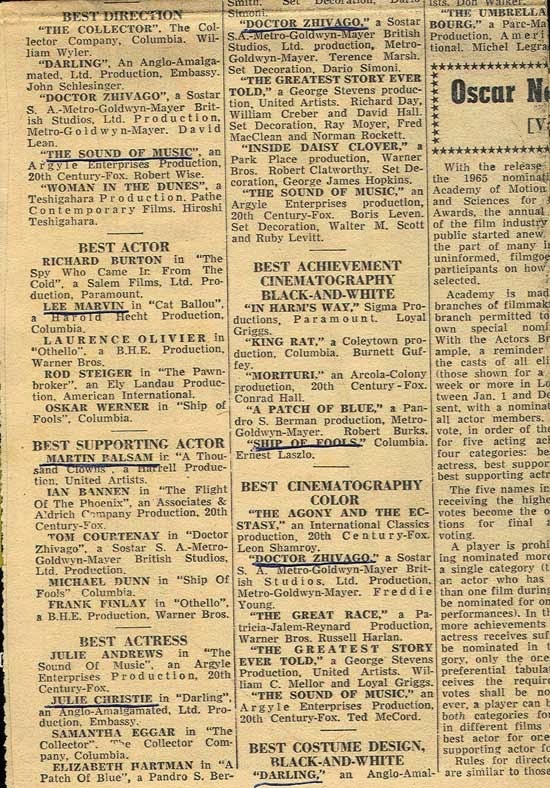 I got a bigger kick out of a tiny clipping which included the "Shorts" nominated that year. They were not included with the "bigger" awards but more of as a press release. Take a look at the one of the nominees. I forgot that Jim Henson was nominated for an Academy Award, oddly enough in the "Live Action" category. I remember this film because it was part of a series of films shown to me in a Film Study class in high school. This 8-minute film is a must watch, because it show the mind behind the man way before we knew him as the creator of the Muppets and the many other fantasy worlds he would go on to create. Until it is taken down I present it for you here. It is an art piece, so your comments would be most welcome below. It is awesome, but then, I am a fan. Pick of the week: Where is this beer from? 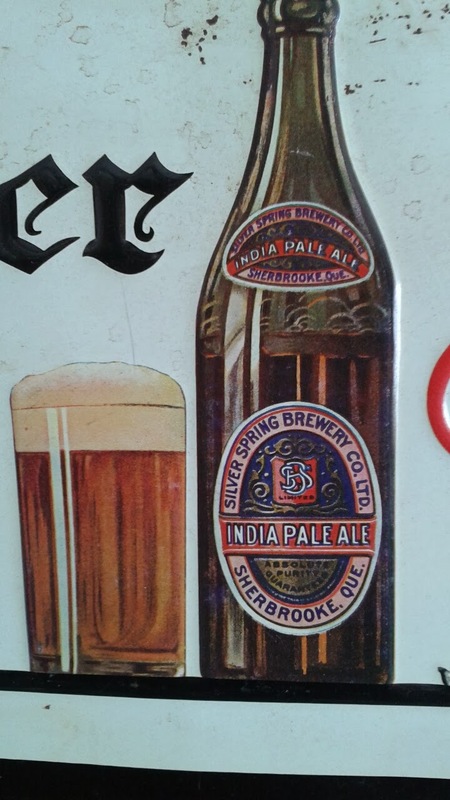 Subject: Pick of the week: Where is this beer from? 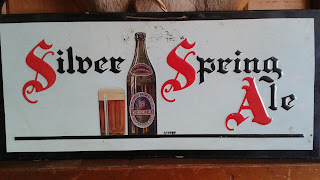 This cool metal beer sign was found at Just In Antiques in New Milford, CT. Can you help me find its back story?